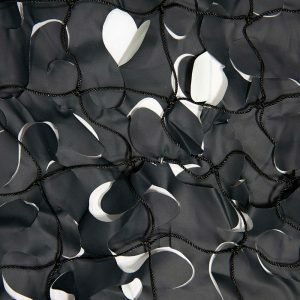 Camonets’ Black Camo Netting is available in a range of styles and sizes. Black Camo Netting is perfect for creating shade, obscuring areas and use in dark spaces. 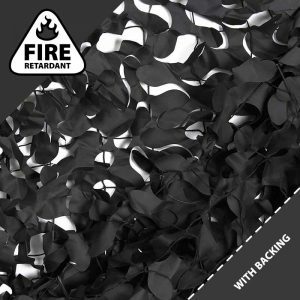 We sell fire retardant and reinforced Black Camo Netting. Fire retardant nets are suitable for indoor use and reinforced nets have net backing for enhanced strength. 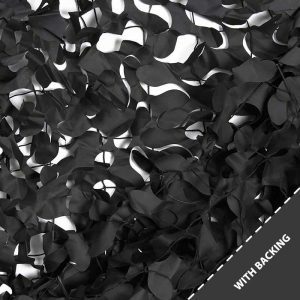 This makes Reinforced Black Camo Netting ideal for outdoor projects.